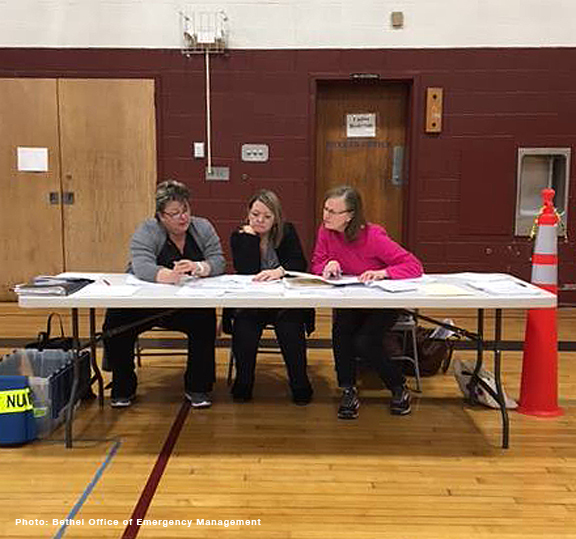 On March 27, 2019 the Office of Emergency Management and Bethel Community Emergency Response Team (CERT) participated in the Bethel, Redding and Ridgefield Health Departments Mass Dispensing areas (MDA6) POD training and tabletop exercise. This training went thru the steps of setting up a Point of Distribution and group discussion in the event that a mass dispensing of medications would be needed in a public health emergency. The three towns and agencies work closely in planning and training for these events based on State of CT mandates. 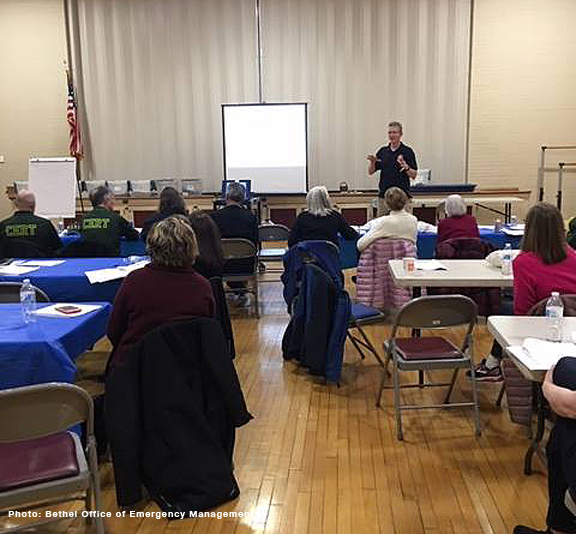 The training was led by Tom Galliford, Bethel Emergency Management Director, Randy Ahmore retired U.S. Coast Guard, and Jeff Dubuc, retired CT State Police. Participants included a host of talented volunteers in nursing, IT, radio communications, facilities, and trained Community Emergency Response volunteers and Visiting nurses. 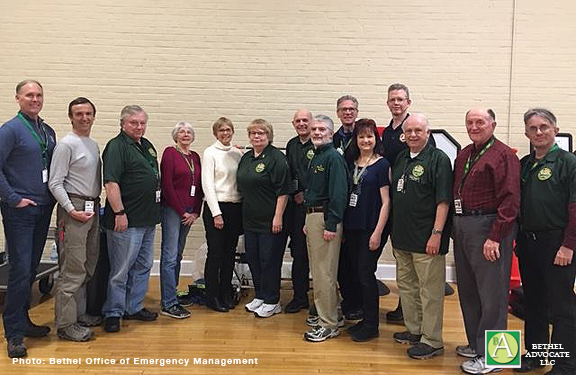 These community volunteers are essential in the success of these training programs, and ultimately in the event of an actual emergency.